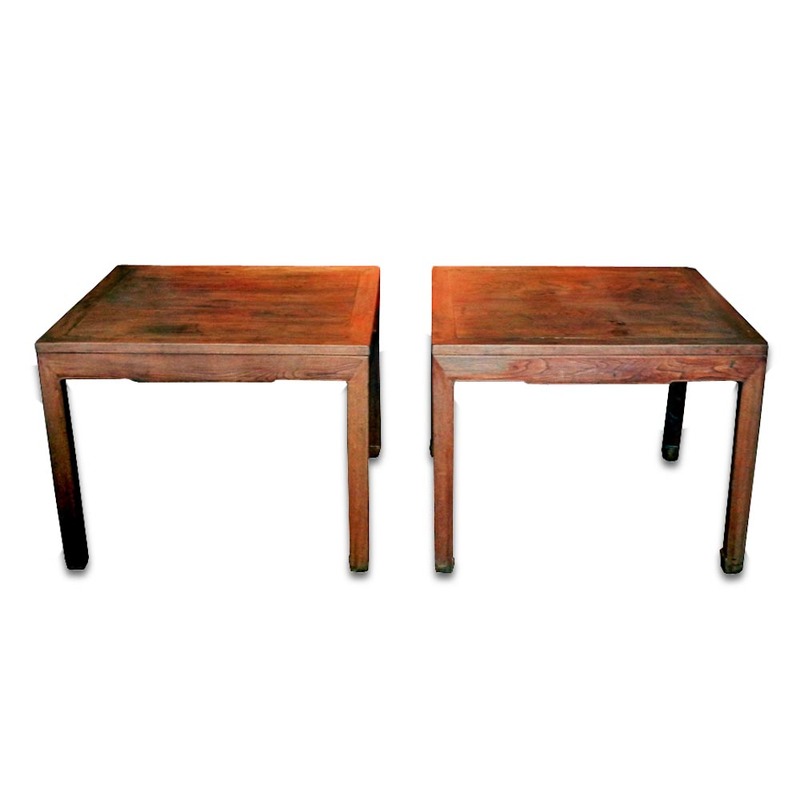 This pair of very rare large size 17-18th century square half-tables is made of Ju wood with an excellent recessed style joinery at all corners. Ju wood, southern Chinese elm, was among the best wood materials used in ancient China. Examples of 17th century Ming style furniture pieces, though rare, can still be identified or found in this wood. 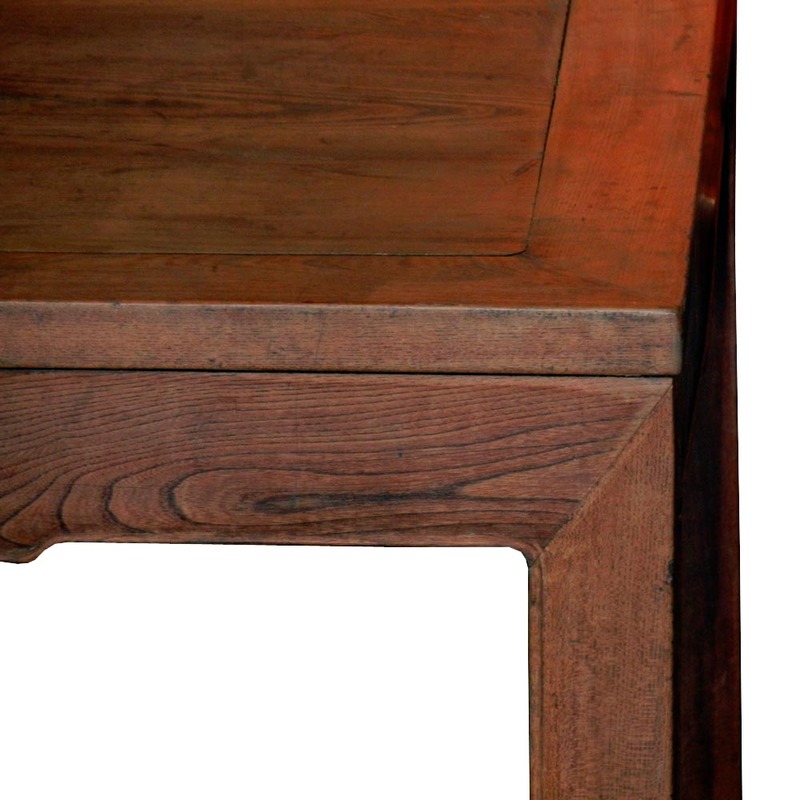 This table, consisting of two half squares, has a simple and elegant design. Together the two sections form a fairly large rectangular size table that was probably used as a calligraphy or painting table. Such generous use of the Ju wood material is not common since it can take up to several hundred years for Ju wood to grow to be a usable tree size. Older furniture pieces made of Ju wood often carry a literati style or taste. This wood without being re-finished offers beautiful grain and a refine sense of quiet beauty.